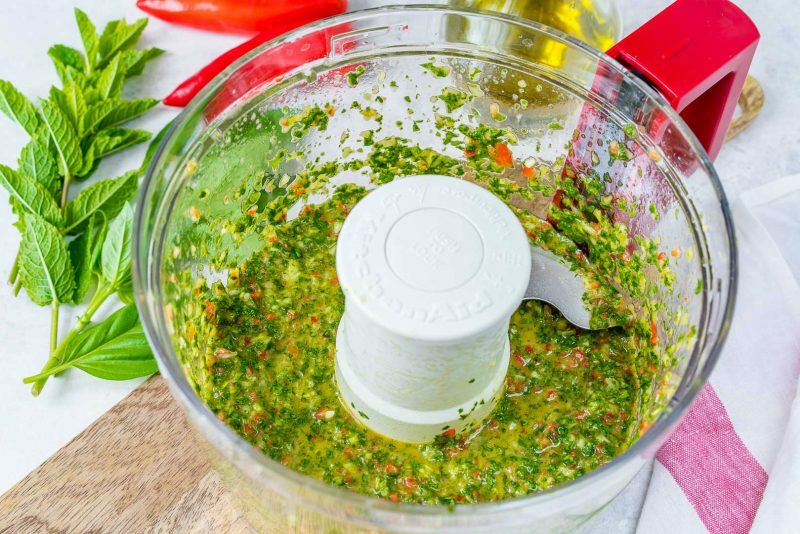 Place the herbs, garlic, leek and chili in a food processor. Add oil, vinegar, honey and salt. 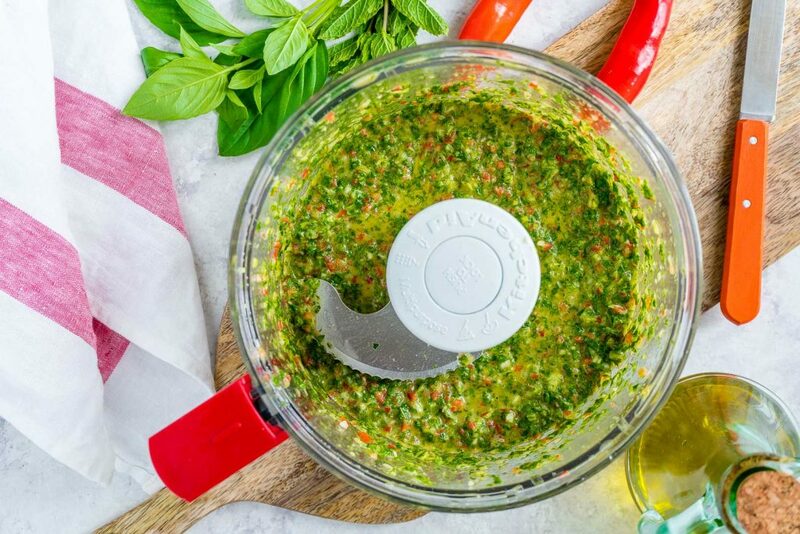 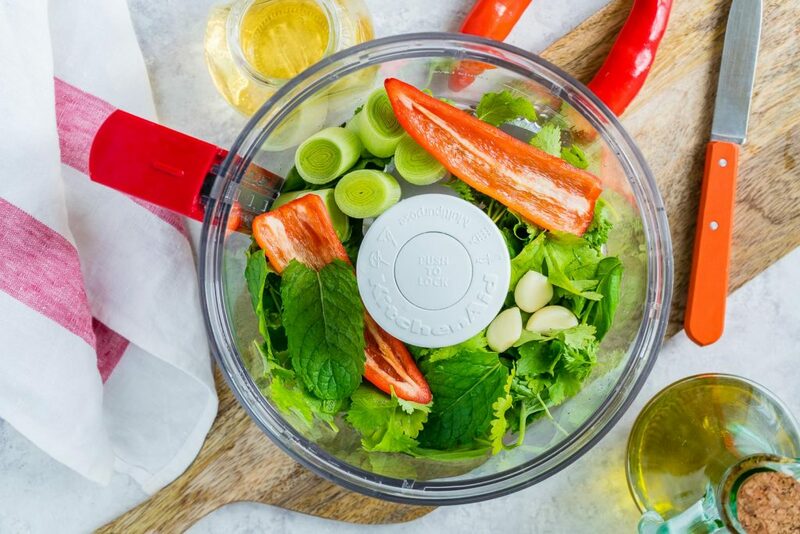 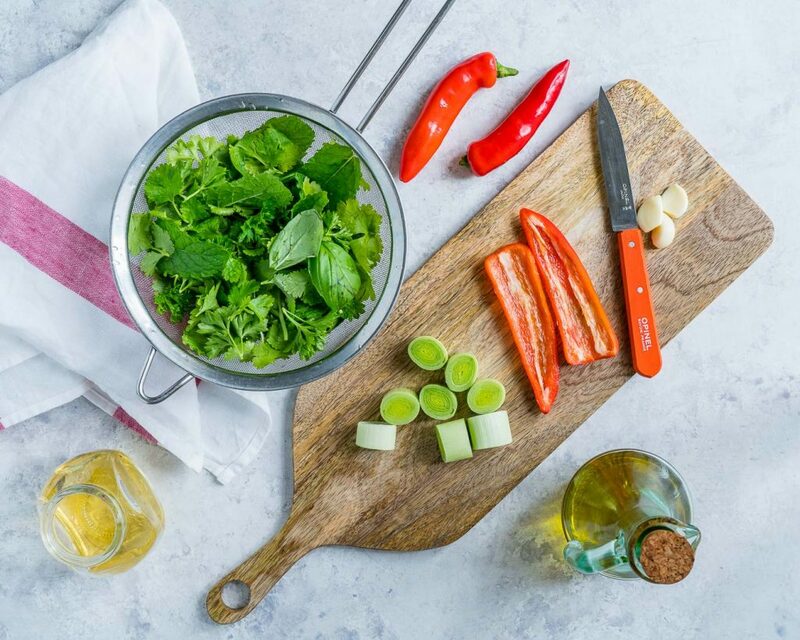 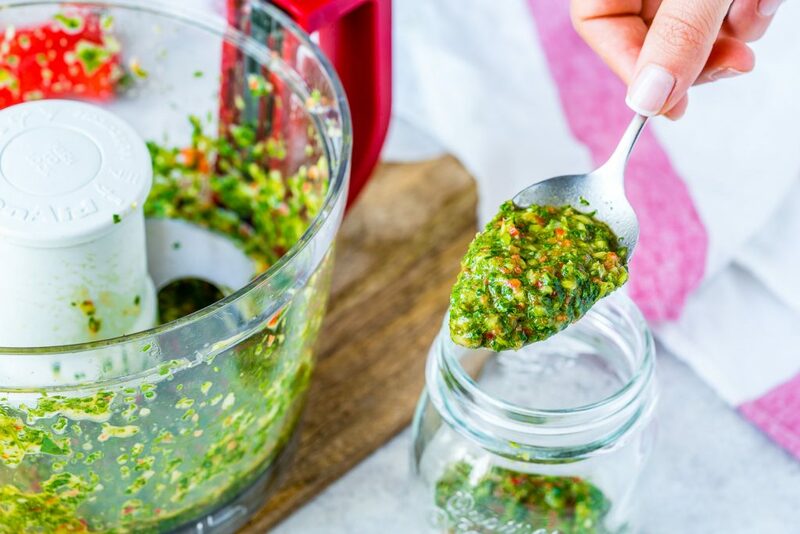 Enjoy this chimichurri sauce all summer long with grilled meat, veggies, or use it as a marinade for your favorite steak. 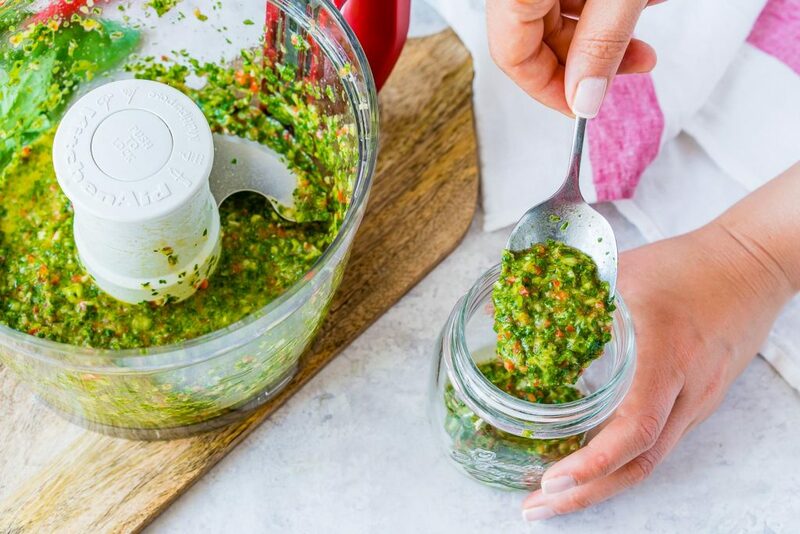 Keep it refrigerated in a jar with tight lid for up to 4-5 days.